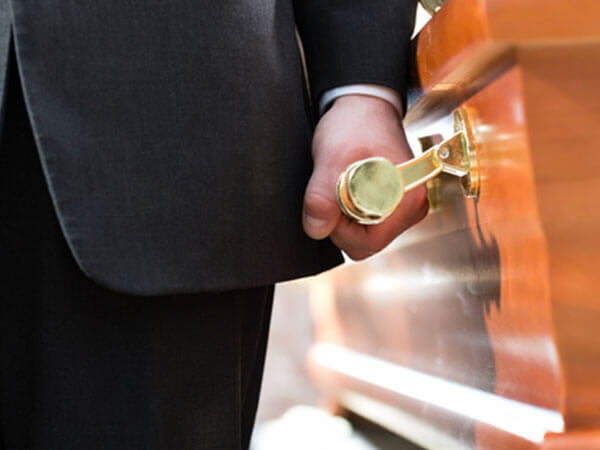 The graveside service no visitation includes basic services of funeral director and staff; daytime transfer of remains to funeral home; refrigeration (up to 5 days), dressing; staff and equipment for graveside service; and funeral coach (hearse). The graveside service with visitation includes basic services of funeral director and staff; daytime transfer of remains to funeral home; embalming, dressing, cosmetics; one day of viewing; staff and equipment for graveside service; and funeral coach (hearse). The funeral service with no visitation includes basic services of funeral director and staff; daytime transfer of remains to funeral home; refrigeration (up to 5 days), dressing; facilities, staff and equipment for funeral service in our chapel, or staff and equipment for funeral service at another location; graveside committal; and funeral coach (hearse). The funeral service with visitation includes basic services of funeral director and staff; daytime transfer of remains to funeral home; embalming, dressing, cosmetics; one day of viewing; facilities staff and equipment for funeral service in our chapel, or staff and equipment for funeral service at another location; graveside committal; and funeral coach (hearse).